Freelancing has truly come of age for the modern corporate professional in India. In an era of increasing life-spans, and shortening career-spans, how can experienced professionals prepare themselves for the changing demands of jobs and careers? And how can they adapt and succeed in the emerging freelance gig-economy? What are the options to them after retiring from a fruitful corporate career? 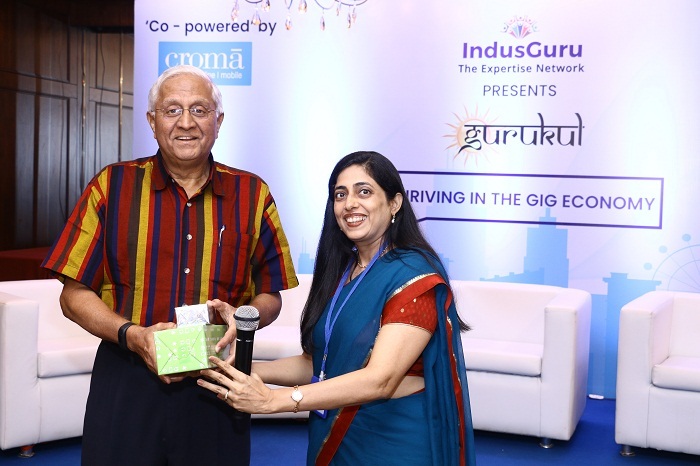 In the inaugural event of Gurukul –“Thriving in the gig economy”– organized by IndusGuru, a curated platform for Independent business consultants, more than 100 senior freelance professionals – from the Finance, HR, Marketing, Strategy, IT & Operations functions- got together to discuss and explore these themes. 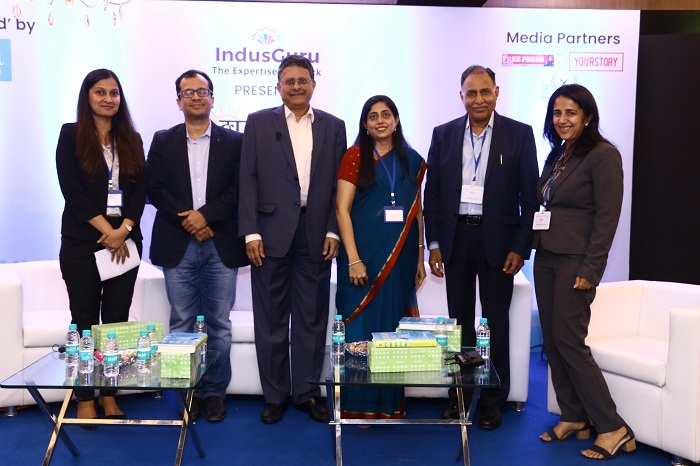 The event was led by an eminent group of speakers and panelists, who have been CEO’s and Business Leaders – and then chosen to take the road-less traveled, including Mr R Gopalakrishnan, Milind Sarwate, Pramod Gothi, Anant Bhagwati and Priyanka Gulati. Vinu Vishwanathan, an entrepreneur and established freelance consultant, spoke about his approach to work with the SME sector, who have a pressing need for business expertise – providing practical tips on being able to make an impact and a difference to owner-driven businesses. Sangeetha Shankar, a Digital Media expert, shared with the audience her mantra for building a strong digital media presence and profile – by focusing on designing the right customer experience. The key note speaker, R Gopalakrishnan, who is a celebrated author and has served on the Boards of India’s 2 most respected companies – HUL and Tata Sons, regaled the audience with his personal life journey of learning and renewal – abiding themes he has explored in his books. He spoke of the need to unlearn before learning, when faced with new situations, challenges and roles – citing his own experience in Unilever Arabia and later, when he moved from HUL, as one the oldest executive Board members to the Tata Group – where he was the youngest on the Board! Most importantly, he shared his tip to staying young– “keep your Telomeres long”! Telomeres as biology students would know, are the end points of our DNA, whose wearing off and shortening leads to aging. The finale of the session was a panel discussion, drawing out the life events, stories and mantras of success from accomplished business leaders – who had chosen, at a relatively early point to leave the corporate rat-race – and do something different, whether it was being a Coach, an Independent consultant, an Entrepreneur, or join the Social Sector. Milind Sarwate, a celebrated CFO with Marico and Godrej, shared his own life changing event at an earlier age, when he decided he must do something different, and build an institution that leaves a legacy. He now serves on the Board of several listed companies, and runs a financial advisory firm. Staying relevant, knowing what skills and value you bring- and connecting with the young, were his mantras for success. Pramod Gothi, a CEO with several group companies, chose at an early stage before formal corporate retirement, to become an Executive and Life Coach. He has coached over 175 professionals over the last 10 years- and enjoys being able to help the younger generation of leaders to succeed. Priyanka Gulati and Anant Bhagwati, represented that breed of young professional of today, who have chosen to give up lucrative corporate & consulting career in a large firm in their 30’s and 40’s– and instead do something different, be it turn entrepreneur or join the Social sector – to contribute back to society. An important learning came in an observation by Milind Sarwate –that India is an entrepreneurial country, its only the British civil service that convinced us to be “salaried employees”. Independent experts and consultants, bust this myth- and can in turn – propel India forward by providing much needed guidance to entrepreneurial businesses and the SME sector. The insightful session provided a platform to “gig economy” professionals to interact & learn. 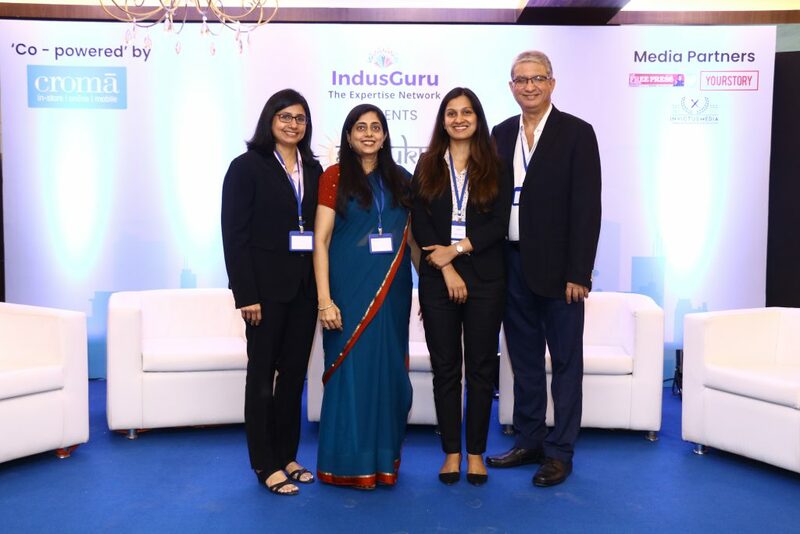 A platform like IndusGuru, is indeed the need of the hour, to help such senior and qualified professionals – connect to project work and assignments with large and small organisations, as well as for organisations to access high quality talent and expertise. “Independence” – Hyped or Worth The Risk?